The Dramatic Showcase line spotlights several figures that, when placed together, recreate iconic scenes from a manga or TV show. 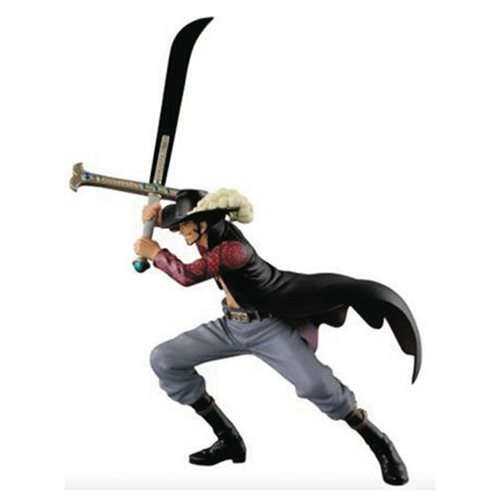 This show-accurate, 5-inch figure of Dracule Mihawk from One Piece is designed to recreate the pose from the famous anime scene with Zoro (sold separately) and comes with a stand. This One Piece Dracule Mihawk Dramatic Showcase Statue is a must have for any fan of the hit anime! For ages 15 and up.